The Ferguson protesters did more than march. Some also rioted. In doing so, they established themselves as part of a venerable tradition of American politics from the Boston Tea Party to the civil rights marches to the recent Occupy movement – many of which also included moments of rioting. Viewed in this light, the events in Ferguson call for a long-overdue discussion of the inherently disruptive nature of outdoor assembly and the contours of the First Amendment right originally established to protect them and their disruptiveness. Elections are limited both as civic experiences and as vehicles for political change. Outdoor assemblies compensate for many of the limits of voting. Congregating outdoors for political ends provides a face-to-face experience of citizenship. This social quality of outdoor assemblies, evident in many reports about Ferguson, makes them particularly likely to generate in individuals a sense of political agency and a long-term commitment to civic and political engagement. Individuals are much more likely to become and remain politically active if they have had collective political experiences, such as marching together – even being arrested together. To serve its unique function in our democracy, however, outdoor assembly must be allowed to be disruptive. Disorder and disruption arise out of the very nature of assembly – a crowd out of doors being policed by government officials. Disorder is only exacerbated when crowds take to the streets spontaneously in response to current events. 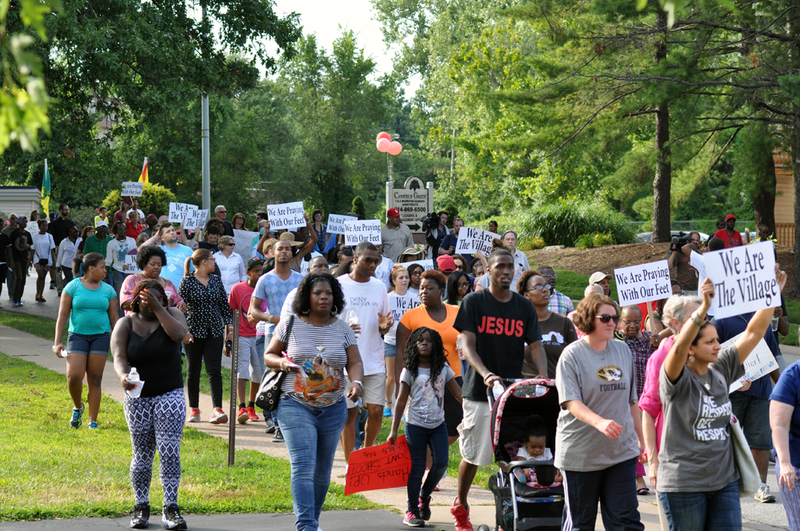 Protestors march in Ferguson, Missouri, on August 15. 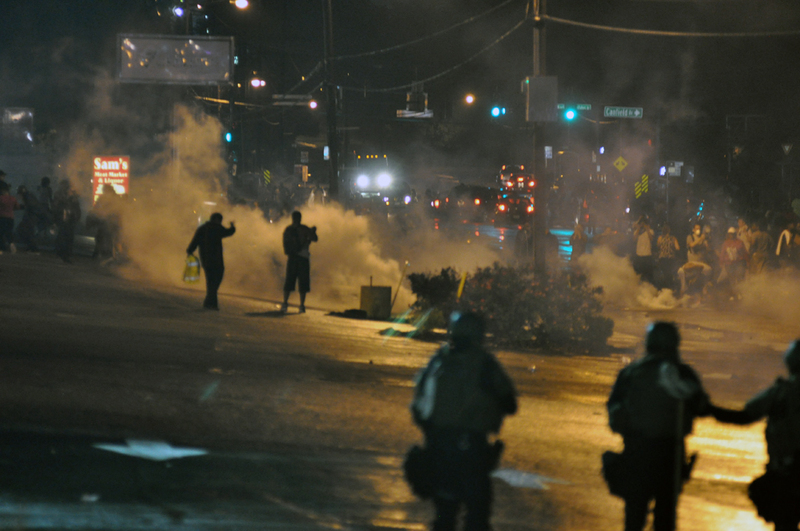 Most importantly, disruption is frequently central to the efficacy of public protest. The ability to bring a city to a standstill is the ability to make elected officials take notice. This obviously does not mean that rioting must be permitted, and if reports are accurate, especially at night, the crowds in Ferguson have sometimes resembled riots. The point, instead, is that there is an inherent and productive tension between peaceable and unlawful assembly. Previous generations of Americans understood this. They understood that acting illegally is not the same as acting violently, and that the constitutional right of assembly protected disorder short of violence. Just as we do not generally disregard the legitimacy of elected legislative bodies because of low voter turnout, government officials should not discount the political demands of the Ferguson crowds because some members have, at times, looted. We should also acknowledge that official decisions – to impose curfews, to demand that protesters remain in motion, to deploy militarized police, to use rubber bullets – can generate the resentment that leads to rioting. The message is clear: You can come out to say your piece but only on our terms, and we are not really listening. Such a message is sure to fuel anger and frustration, even when policing decisions arise out of a sincere belief that they are necessary to maintain order. While courts routinely uphold such tactics, they do so because they have fundamentally misunderstood the reasons that the founders singled public assembly out for explicit constitutional protection. Freedom of speech was intended to protect robust political discussion, while the right of assembly was intended to protect collective action. In deciding that the First Amendment protects orderly expression, but not disorderly conduct, courts have created a right of assembly today akin to the notions of free speech in the early 20th century. 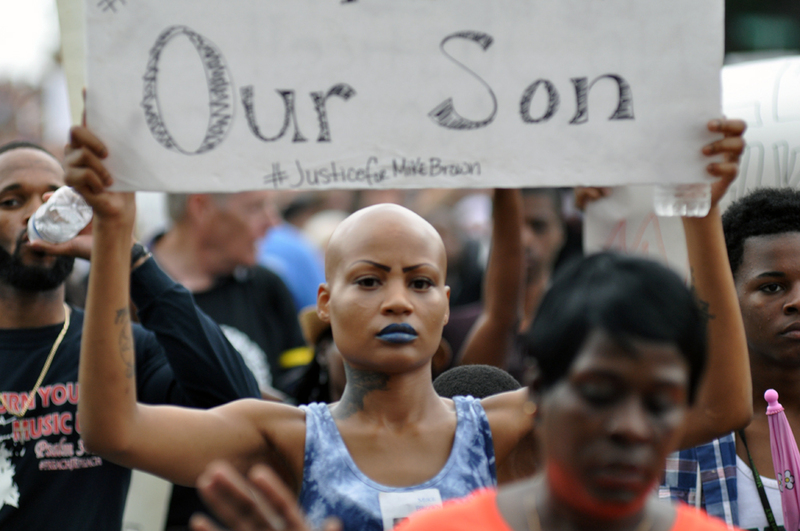 A demonstrator holds a sign at a protest in Ferguson, Missouri. When the protesters and police officers eventually leave the streets of Ferguson, perhaps we will be able to see the events of these past weeks as something more than yet another instance of urban riots in the face of police brutality and racism. Perhaps we will be able to recognize Ferguson as a moment when citizens came together to register opposition to perceived abuses of governmental power. Perhaps it will be a turning point in our understanding of why the founders granted constitutional protection to the disruptive elements of outdoor gatherings. Tabatha Abu El-Haj, JD, PhD, is an associate professor at Drexel University’s School of Law and an expert on the right of peaceable assembly and its history. This opinion piece originally ran in the Philadelphia Inquirer. You can read it here.